Several of your Arizona State Parks offer fantastic trout fishing. These amazing opportunities are made possible from fall through spring with rainbow trout supplied by the Arizona Game and Fish Department. When these guys make their annual reappearance in the lakes (and Verde River at Dead Horse Ranch) the parks offer an exciting way to create new memories, learn a new skill, and put clean, organic protein on the table. Arizona trout fishing destinations are diverse and beautiful, begin your search for an Arizona rainbow at Dead Horse Ranch lagoons, Dankworth Pond, Roper Lake, and Patagonia Lake state parks. Imagine sitting on the shore of Roper Lake, watching your bobber sway rhythmically in the subtle waves caused by a slight breeze. You're watching in amazement as the sun sets behind Mount Graham in a generally relaxed state. Suddenly, your attention is pulled away from the orange spectacle of beauty that signifies the end of another day. The bobber is gone! Almost as soon as you begin to process it, the line goes taut…Fish on! As you get your prize to shore you begin to appreciate the gorgeous colors of the rainbow trout. Hues of pinks, blues, and purples flow nicely amid the silver scales, reminiscent of an actual rainbow. Memories like this cannot be made from the couch, and will certainly never be forgotten. Granted, there’s a bunch of ways to catch a trout, but two distinct techniques seem to put fish on the stringer more often than not, and with great reliability. Bait fishing and lure fishing are vastly different techniques that share the same goal. Each technique has its pros and cons, and each will resonate with people of differing personalities and skill levels. Let’s dive in a little deeper while exploring these time-tested methods of trout fishing success. 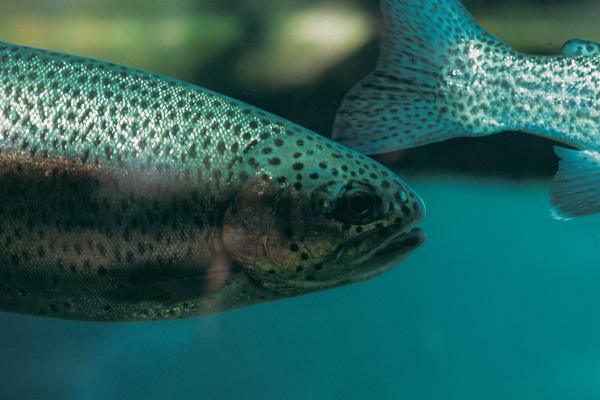 Trout can be as finicky as a two-year-old at dinner time, but just as that kid will eat macaroni and cheese every day if you allow him, a trout will have distinct preferences as well. Every trout lake in the Arizona state park system offers great shore fishing opportunities, might as well cast out, kick back, and enjoy the view! Commonly used bait options include worms, corn, salmon eggs, cheese, and other manufactured baits such as Berkley’s Power Bait. Try more than one option while you figure out what the majority of trout prefer on any given day. Suspend these baits at varying depths beneath a bobber and the trout will let you know at which depth they prefer. After finding the bait/depth combination that is working, repeat the process until you’ve caught your share of beautiful, delicious rainbow trout. It should be noted that Power Bait is typically fished on the bottom. This manufactured option floats and will be presented in a suspended fashion just off of the bottom. Try different leader lengths until you find out where the fish are hanging out. 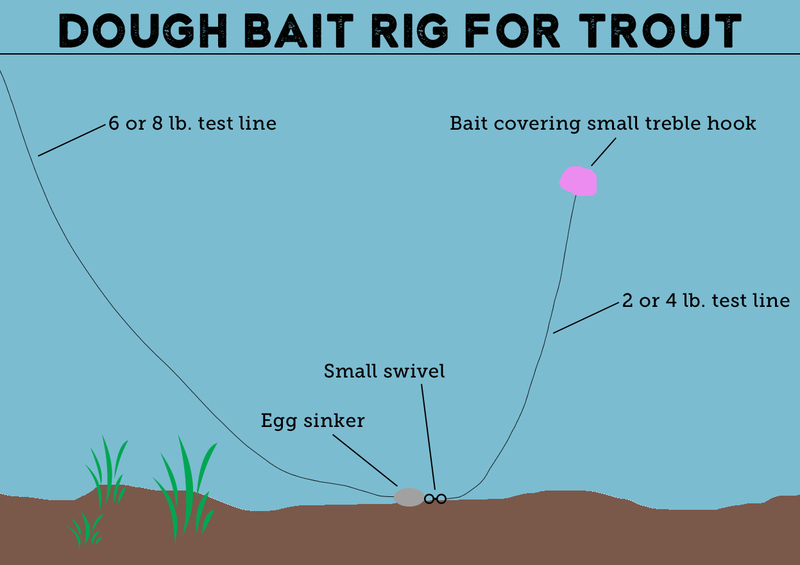 Check out this dough bait rig for trout and try it on your next trip. Lures stimulate a fish’s urge to feed, or cause their curiosity to get the best of them resulting in a strike. A light line in the four to six pound range will fool more Arizona trout than heavier line, and will allow lures to perform at optimum levels. There are countless trout lure varieties, although small inline spinners like Rooster Tails, Mepps, and Panther Martins have been hooking trout in Arizona consistently for a long time and are a good bet to use in your state parks. Just as with the bait options, choose several colors before your trip to ensure you’re casting what the fish like that particular day. Fish each color at varying depths and speeds until you find the right combination, then continually replicate the process. Great colors to start with are black, brown, white, and yellow. There’s a good chance the trout will like one (or all) of them. It's worth noting that fly fishing opportunities are available at most Arizona State Park trout lakes, the Verde River via Dead Horse Ranch, and Oak Creek upstream of Slide Rock. Flies that work well for Arizona trout are varied, yet a few seem to produce fish year after year. A statewide favorite is the Arizona Peacock Lady #14 to 16. Though variants are common, patterns with a gold bead head and red tail will help land more trout in the parks. Anglers cant go wrong with a black or olive Wolly Bugger in various sizes, or a Simi Seal Leech in black, brown or silver. If you (or more specifically the trout) prefer dry fly acton and picturesque rises that disrupt a calm, cool morning, both Elk Hair Caddis and Parachute Adams are pretty popular with Arizona trout. 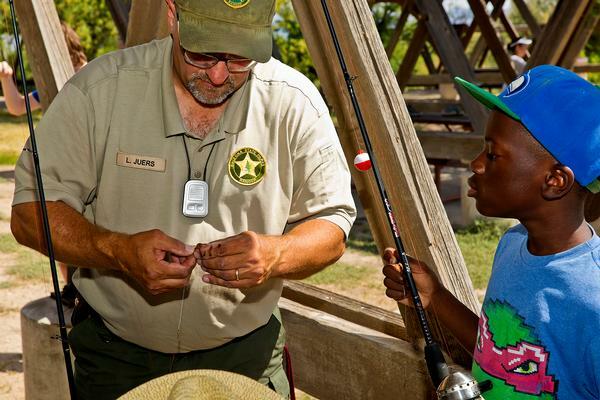 Note: All anglers 10 years of age and older must have a valid Arizona fishing license in their possession. The actual date of trout stocking varies throughout the week of the dates listed below. Trout are provided by the Arizona Game and Fish Department. Flies that work well for Arizona trout are varied, yet a few seem to produce fish year after year. A statewide favorite is the Arizona Peacock Lady #14 to 16. Though variants are common, patterns with a gold bead head and red tail will help land more trout.